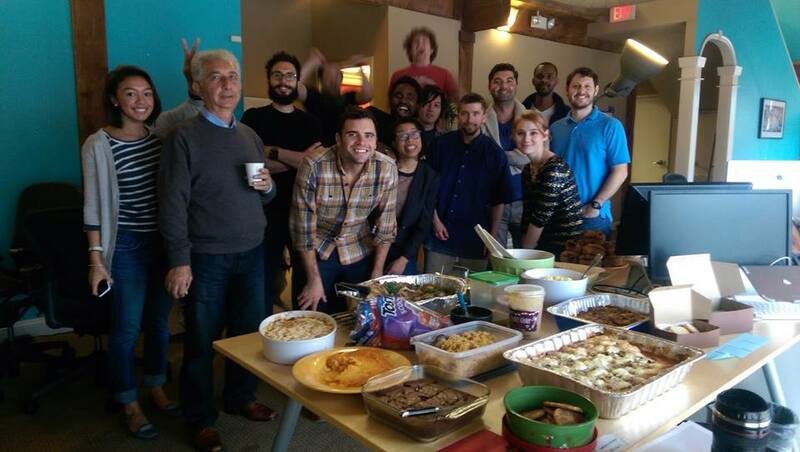 A successful, and delicious, Thanksgiving in 2014. We did a lot in 2014. From impressive website launches (like SpaceNews, Penton, and PaintCare), even more exciting new projects, and a largely successful GiveBack DC Holiday Diaper Drive, we’ve been busy. But as one year closes, it’s time for you to get busy too! With your digital resolutions for 2015, that is. Let’s check out some digital trends that will take you and your brand through a successful 2015! Flat design highlights, rather than detracts from, design principles we already know to be best. First off, flat design emphasizes clutter-free and content-driven layouts, which makes consuming information easier. It also highlights the importance of responsive design, since flat design is less choppy and can more easily scale on multiple devices. Simplicity will be a significant trend in 2015. You know those email registration boxes that pop up when you enter a certain site? Those, and ones similar to them, are called micro interactions. They are contained experiences a user has with a site to help boost user engagement. It’s easy enough for users to ignore them, but your brand should not. Make your website memorable—and increase brand loyalty—with personalized micro interactions. Digital laziness will not pay off, especially when it comes to mobile-friendly sites. Don’t be that brand that just transfers a desktop interface onto a mobile screen size. A less-than-stellar user experience will be a straight giveaway. Stay ahead of the pack and commit to putting your brand’s mobile experience first. Online consumers will continue to be influential advocates for your brand, if you are the kind of brand that doesn’t beat around the bush or builds yourself up with false advertising. Consumers want to know you are doing what’s best for them. Transparency is key for 2015. Stick by these digital resolutions, and your brand will soar in the new year. Have any digital resolutions you want to share with us? Give us a shout on Twitter!